July probably was the quickest month of this year for me. Also, probably the best one so far. July was a very good month in terms of personal projects. I worked a lot on myself and changed a lot of my habits and routines. I worked on time management too and this resulted in effective planning of hobbies, work and other household chores. Professionally, it was a pretty good month. We had a successful release and work is not as hectic as it was before. What I mean to say is that I have time to breathe now. Work is a very important part of my life and I need to make sure that I'm giving all that I have to it. At the same time, I do not want to compromise on my personal life. July taught me how to bridge the gap between the two. Personally, I have been the happiest this month. Nothing great happened, but somehow maybe I have found inner peace. I'm at ease and do not stress over petty things anymore. I spend a lot of time with myself and have been clear in the head so far. No negative thoughts, no hard feelings. I've finally learnt to heal myself and I cannot be more pleased. I'm much calmer and handle things better now. So yeah, that's a personal victory. Reading was pretty good this month. I finally finished Harry Potter and loved every bit of it. To be honest, I was sad that it ended and I do regret not reading this while I was younger. Probably I would have appreciated it much more back then. Nevertheless, I read it now and am awed by the creativity and the inspiration behind the whole tale. While I am not a fan of J.K Rowling's adult books, this series just blew my mind. The whole thought behind creating the world of Hogwarts and magic is quite something. I even watched the movies as soon as I was done with the books. While some of the movies I loved, some did no justice to the book. I'll be taking more about this in detail in the coming posts. The other books that I read were 'Animal Farm', 'Into The Water' and 'ABC's of Horror'. I loved all of them. While I think 'Animal Farm' should be made mandatory reading in all schools and colleges, I'll be doing a detailed review of 'Into The Water' soon. I had heard only negative reviews of the book so far, but I surprisingly enjoyed it. 'ABCs of Horror' is written by a friend and even though I'm not a fan of the horror genre, I did enjoy this one too. The 26 stories were short and crisp and made for a quick read over a cup of tea. In total, including the last HP book, I finished four books this month. This was my original target too. A book and week. I finally have crossed the halfway mark for the reading target this year. Although I'm lagging behind by a book or two, I know I'll catch up soon now that I've got my reading mojo back. I did find some good time to write as well. I could even manage a couple of sponsored posts. Sponsored posts are tricky. You never know if you should take them up or no. While I only picked up topics that I could relate to or the one that is closest to the theme of my blog, now I even pick those topics if I have something to say about it. Still, the topic needs to resonate with me and my blog. I had a 'Spicy Saturday' pick too from Blogadda this month, which is surprising because I do not remember submitting that particular post for it. I started #FeministMondays and continued with Corporate Circus; these two topics give me a lot to talk about and I always look forward to writing for them. 'Long May She Reign' is a poem that I'm very proud of and I had to give a tribute to Ranveer Singh on his birthday. This post was on my mind for a whole year! Tomorrow, it is August! It is my birthday month and I'm stepping into it with a wide smile on my face. In less than ten days I turn a year older, but many years wiser. 2017 did bring its share of ups and downs, but I came out of it with quite some lessons. I have learnt so much over the past year and it definitely has made me a much better person today. I'll be stepping into a new year of life knowing that I have the strength to get past anything that comes my way. I have the right support by my side and now, a strong mind too. August is going to be all about sparkle, happiness and pixie dust. I'll wear my crown and bask in it. Tell me, how did July treat you and what are your expectations from August? Such a delightfully happy post this is, Soumya. So glad to hear that August went so well for you. Striking the balance between personal and professional is the toughest struggle which most of us have. I am so glad that you have figured a way around that. That's good reading and writing. While I write daily and professionally as well, reading has suffered for me for which I'd like to make amends. August is an exciting month for me as well. Many things on the anvil so yes looking forward to it. 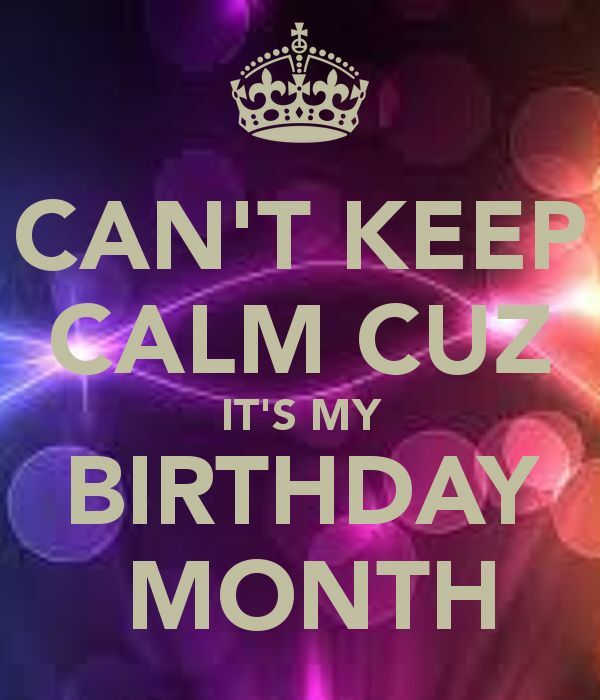 Have a great birthday month! Thank you so much, Rachna. May you get back to regular reading this August. Super glad to read this post of yours and yay on the reading goals! You make me jealous, woman. I've had a really rough time on the reading front and it's been killing me. But like you say, I've learnt to let go and take the rough with the smooth. Like my husband says I should let go of my ideal of perfect and do what I can. Else this burnout and discontent is what will happen. Ah the burnout does kill you. Thank you, Shantala. I loved the series and I'm kicking myself for now reading it before. Cheers to the increased calmness and strength of mind :) I wish the month of August treats you really well and you have the best time in your birthday month. Glad you had a quiet month. And you found inner peace too. 😊 August is the month of Leo so I am pretty sure you are going to rock it. August is my favorite month too. Birthday month needs to be special. I am glad you loved Harry Potter. Welcome to Potterheads Club. It's a lovely place to be. I can't wait for your review of Into the Water. After mixed reviews I have been holding off ordering the book. Hope you have a fantastic August. I'll review the book soon.